"...pool management must define in a document, its policies and procedures for the general operation of pool water treatment". "...the PTOP for a pool will incorporate operational considerations that provide a healthy, enjoyable, satisfying and safe experience for users". 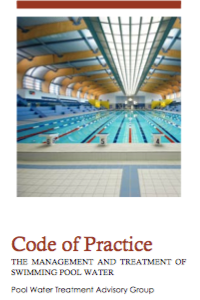 "...the PTOP forms part of the risk assessment process for the whole pool facility, and will sit alongside the PSOP". With this opotion you can complete your own document and then forward it to us for verification. We will then ensure that its wording complies with the variouslegislative and industtry requirements. We will also identify for you any deficiencies, or omissions with advice on how to become compliant, or for you to acknowledge a shortfall or non-compliance. The cost of this option is £250.00 plus VAT per facility. We can complete the PTOP for you. This will entail a visit to your facility; inspect and discuss with your senior management. We will then provid eyou with an electronic copy of your PTOP for you to adopt. The cost of this option is £550.00 plus VAT per facility. For options 2 or 3, just contact me, Mike Shuff, M.PWTAG., at Carlton Associates Ltd. enquiries@carltonassociates.co.uk or call me on 07710 206945.